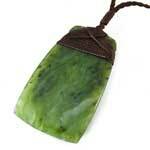 A wonderful piece of Kahotea Greenstone greenstone from the Hokitika area of the south island of New Zealand. 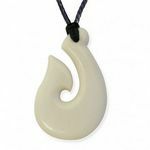 This pendant is in the style of a traditional Toki or the Maori Adze, or Toki Pou Tangata. Traditionally the Maori Adze was used as a large chisel to tool used for smoothing rough-cut wood in hand woodworking, however in wartimes the adze or toki are known to have been used by Maori warriors. 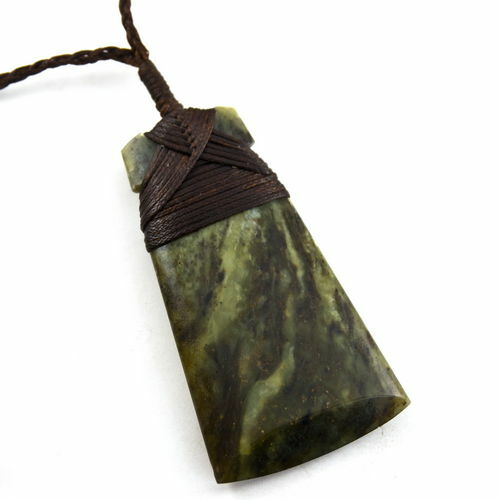 The Maori also attribute the spiritual meaning of Strength and Power to the Toki. 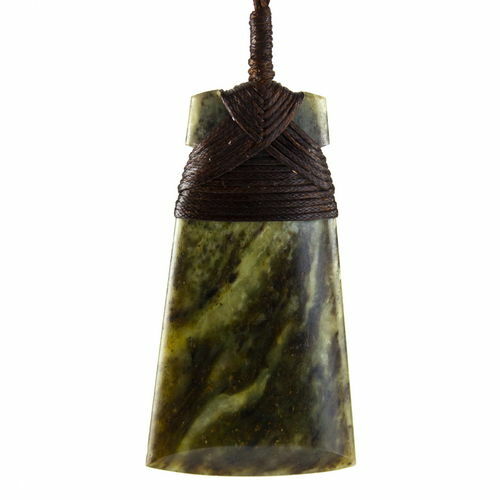 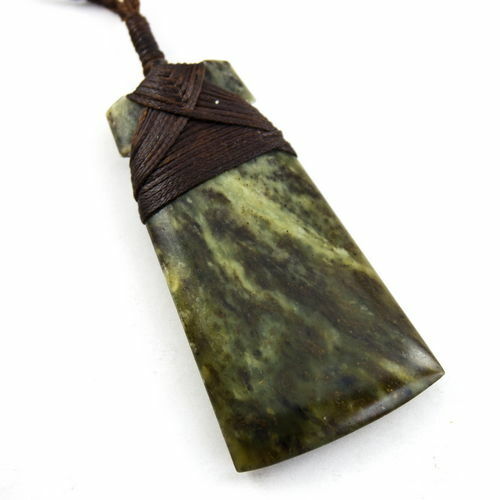 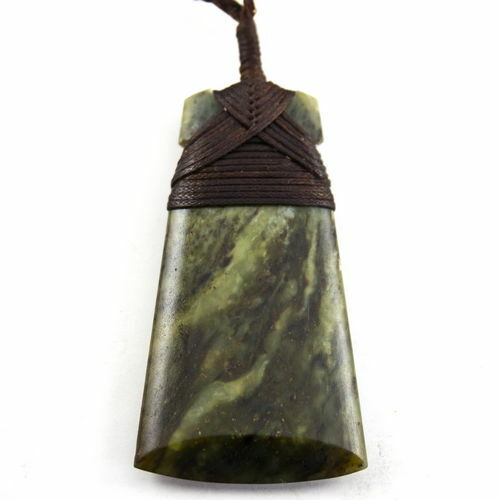 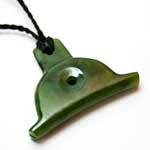 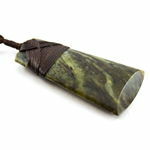 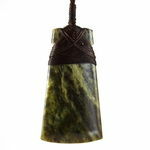 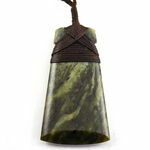 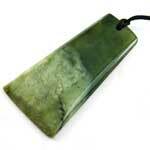 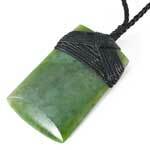 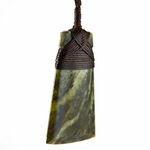 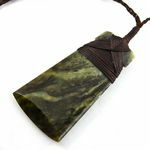 This pendant is carved from Kahotea greenstone / Pounamu, A grey-green colour. It is either very translucent or quite opaque. 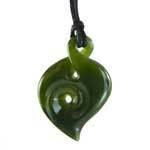 Highly prized by the Maori and the desired material for making mere and patu. 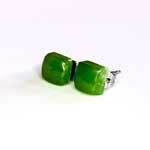 Endless combinations of Pounamu types occur, and no two pieces are the same guaranteeing that your Pounamu is unique. 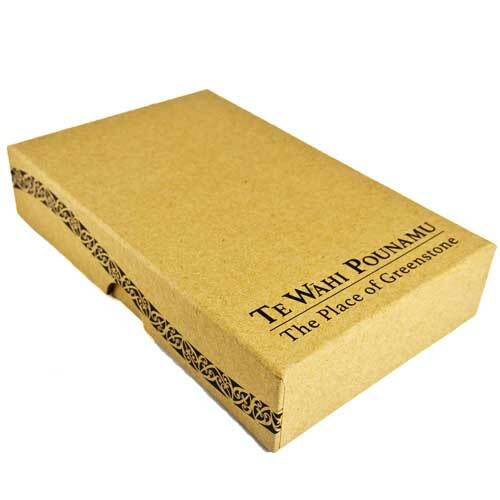 Measures 60mm long and 36mm wide. 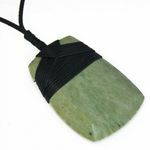 It comes with a brown adjustable cord, attractive Flax kete Pouch, a unique code to trace your greenstones authenticity online and meaning card.